This Mussel is longer and not so sharply pointed and more solitary in nature . It uses its Bysus thread to make a nesyt of sand and gravel The shell is oblong or irregularly triangular in shape, with blunt umbones. 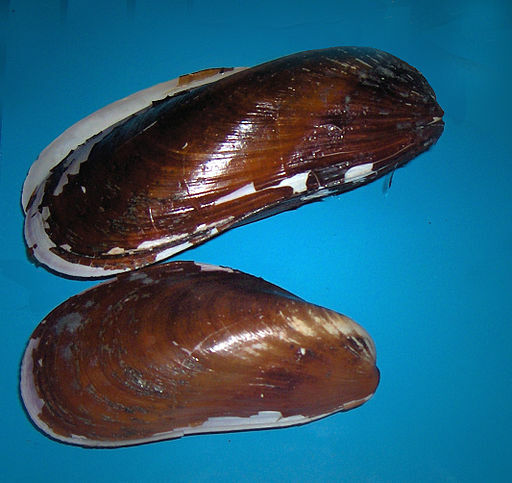 The colour of the shell is dark blue or purple in colour, The presence of the perisostracum gives adults shells yellow or dark brown glossy appearance. Growth lines, and of fine concentric lines and ridges may be observded on the surface.